I cannot believe another YEAR has gone by! In the last year, I had a baby (what! ), wrote two books, revised Becoming Nursey, started working at NRSNG.com, transitioned from Nurse Eye Roll to FreshRN, recorded a podcast, and perfected my homemade wing recipe. via GIPHYGuys, seriously. It’s legit. ((Pppssstt… here’s the recipe, just don’t tell any of my friends because I like looking like this amazing chef that figured this out all on her own)). In honor of the past amazing year, I’d like to share with you the best blogs of 2016 featured on FreshRN! Enjoy! 10. How to Stay Ahead in Nursing School. 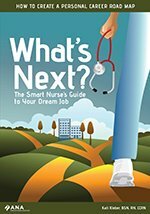 A few practical tips for people starting nursing school who want to stay ahead of the game, and maybe a Simpson GIF thrown in there. I asked a bunch of experienced nurses on social media what specific tips they had for nursing students and this is the finalized list! 7. I Wish I Could Cry With You, But I Can’t. I wrote a post about my own personal experience caring for people who are going through trauma, and attempting to balance that with patients who need motivation in the critical care environment. This post has sparked a bit of controversy, as some merely read the title and thought I meant nurses could not cry with patients. Assessing an awake neuro patient is one thing, and assessing an unconscious neuro patient is another. Complete with a quick how-to list, references, and a video! I used my handsome husband as my “patient” and performed a neuro assessment on him. The video is embedded in the post and also on YouTube and has been viewed almost 3.5K times! This guest post focused on some specific things to keep in mind as you’re caring for the aging population, as well as people from various cultures. This post contains 5 practical tips to manage your time successfully as a new graduate nurse in the intensive care setting. Being a new graduate nurse is overwhelming! Here are some pieces of advice and practical tips from a former overwhelmed new graduate nurse. I discuss some practical nursing considerations for 3 medications that are frequently used in neuro intensive care from someone who gave these meds practically every shift. I again solicited the large community of experienced nurses on social media for some advice for new nurses. This is a list of some of the best responses from nurses all over the country who have been there! Which post was your favorite? Have an idea for a post or a subject you would love to see covered? Just contact FreshRN and let me know.